In Major League Baseball, a shutout (denoted statistically as ShO or SHO), also known as a complete-game shutout, refers to the act by which a single pitcher pitches a complete game and does not allow the opposing team to score a run. If two or more pitchers combine to complete this act, no pitcher is awarded a shutout, although the team itself can be said to have "shutout" the opposing team. In 1968 for the Los Angeles Dodgers, Don Drysdale pitched a Major League record six consecutive shutouts on his way to a total of eight. 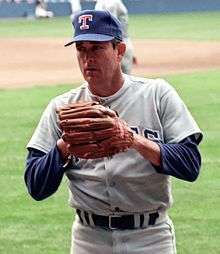 While his statistics that year are often overlooked when compared to fellow National League pitcher Bob Gibson, Drysdale did pitch a then-record 58⅔ consecutive scoreless innings pitched over the course of a month, whereby he did not allow an opposing run. He can be said to have "shutout" the opposition for 58⅔ consecutive innings pitched. That scoreless streak would later be broken by Dodgers pitcher Orel Hershiser in 1988, who pitched one more out than Drysdale to record 59 consecutive shutout innings. 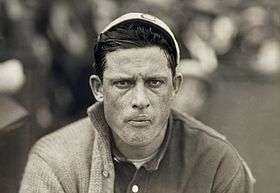 Ed Reulbach of the Chicago Cubs is the only pitcher in Major League Baseball history to have pitched two shutouts on the same day. On September 26, 1908, the Cubs played a doubleheader against the Brooklyn Dodgers. 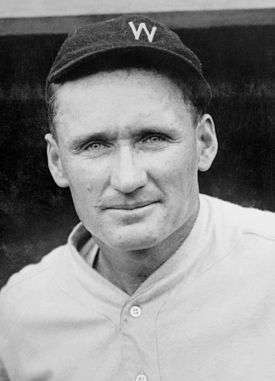 Reulbach pitched both games to completion, in which the Dodgers failed to score in both games. 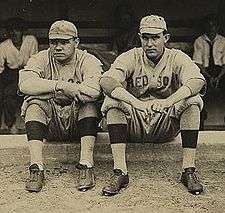 Ernie Shore (on the right next to Babe Ruth) is a pitcher who earned a shutout without starting the game or pitching a complete game. Conversely, if a game goes into scoreless extra innings, the same pitcher must pitch until the end of the game, despite having already pitched a full nine innings without allowing a run. If the pitcher is replaced or allows a run during an extra inning, he cannot receive a shutout. This situation is very rare today, because starting pitchers will rarely pitch into extra innings. On June 3, 1995, Pedro Martínez of the Montreal Expos had a perfect game through nine innings against the San Diego Padres. The Expos failed to score as well, and the game was forced into extra innings. The Expos scored a run in the top of the 10th inning. In the bottom of the same inning, Martínez gave up a leadoff double to Bip Roberts to break up the perfect game and no-hitter. Martínez was immediately replaced by Mel Rojas, who retired the next three batters to end the game. Martínez was credited as the winning pitcher in a 1–0 Expos victory, but he did not record a complete game or a shutout for his efforts since another pitcher had taken part in the game. 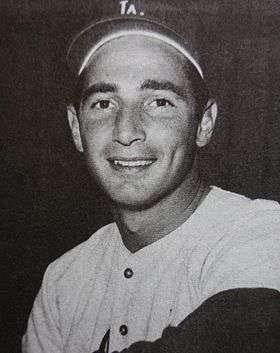 Los Angeles Dodgers pitcher Sandy Koufax led the National League with 11 shutouts and also captured the league's Most Valuable Player and Cy Young Award in 1963. His 11 shutouts are also the single-season record by any left-handed pitcher. With the decline in shutouts, since 1999, only six pitchers—A. J. Burnett, Dontrelle Willis, CC Sabathia, Roy Halladay, Cliff Lee and Felix Hernandez—have achieved five or more shutouts in a single season, although Sabathia's five shutouts are a combined total from having played in both leagues in one season. CC Sabathia is the only player in history to have led both leagues in shutouts in the same year when he did so in 2008. He had two shutouts for the Cleveland Indians of the American League when he was traded in the middle of the season to the Milwaukee Brewers of the National League. He accumulated three shutouts with the Brewers to lead the league. His two shutouts in the American League would also lead the league at the end of the year, even though he was in a different league at the time. Recently, accumulating only 2–3 shutouts may qualify a pitcher to lead or tie the league lead in shutouts. Pete Alexander (top) and Ed Walsh (bottom) are the only two pitchers in Major League Baseball history to have pitched 10 or more shutouts on two separate occasions. ↑ "Alfredo Simón's complete game shutout extends Tigers' win streak". MLive.com. Retrieved 2016-03-04. ↑ Thorn, Jim (2009). 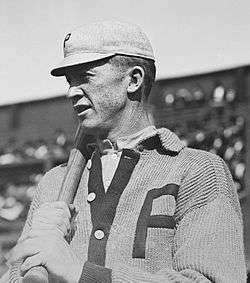 "The Baseball Biography Project: Jim Creighton". Retrieved July 2, 2011.